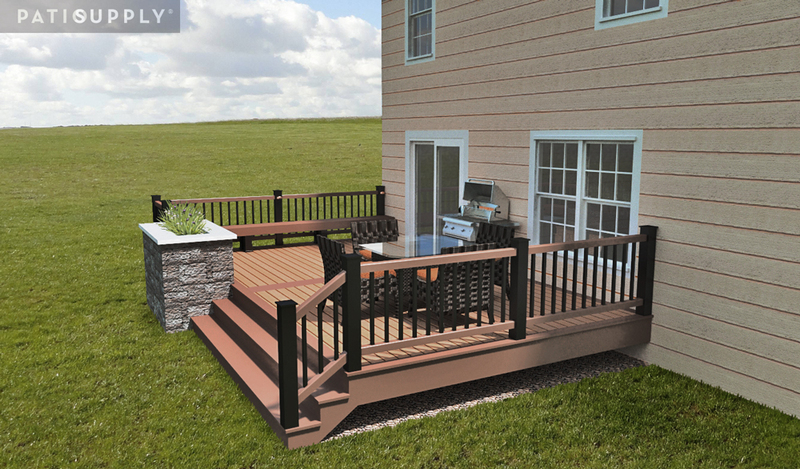 A Springboro, OH family wanted to replace their traditional wooden deck with something that will last a lifetime and better accommodate their lifestyle. 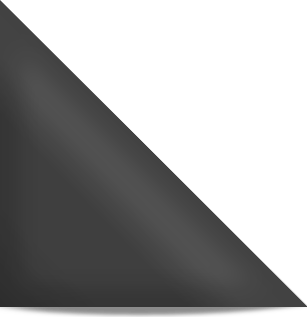 A Waynesville, OH family wanted a place to entertain out-of-state family members when they visit in their recreational vehicles (RVs). 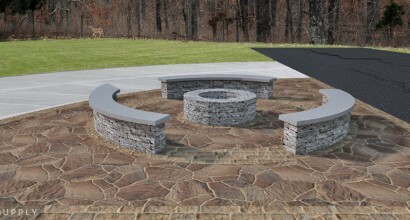 The patio is a total of 483 square feet and provides a campfire-like ambiance to compliment the mood of this family's get-togethers. 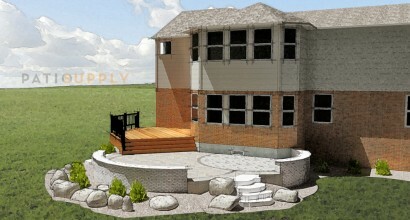 A customer from Waxhaw, NC contacted us to design an outdoor living area/paver patio for his backyard. 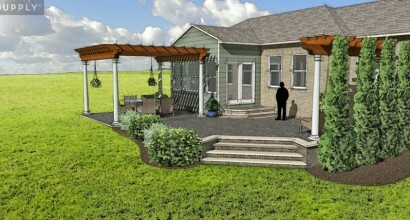 The design was also developed with an option to add a pergola that could be installed in the future. 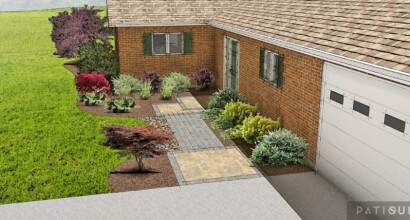 Designing a sidewalk is not difficult, however the customer did ask for something unique and decorative to increase the curb appeal. With an estimated two days for completion, this project is sure to add some quick curb appeal. 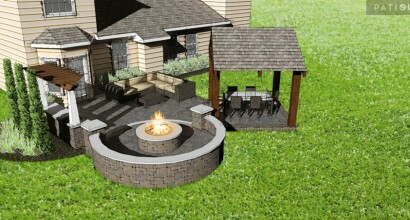 A customer in Springboro, OH wanted a large patio with a fire pit which they could see from the dining room windows. They have a 2-year-old daughter and are looking to have more children so we put a strong emphasis on multiple levels of small grade change versus one large staircase. 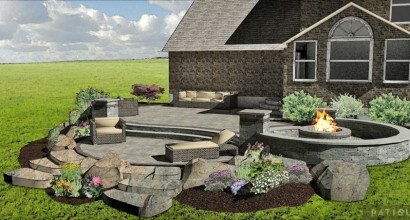 A Centerville, OH family wanting to have a piece of their heritage at home wanted a patio with a Tuscan theme. Trying to add a little flare to their backyard was a must because they enjoy entertaining up to 20-30 guests at one time. 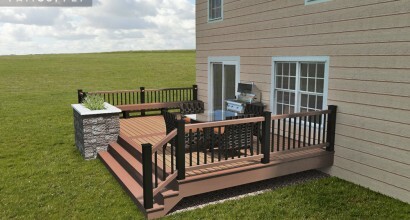 A Dayton, OH family wanted to entertain eight guests during neighborhood parties.With the addition of lighting in the posts of the deck and underneath the caps of the seatwalls, this outdoor living space is perfect for entertaining in the evenings as well.